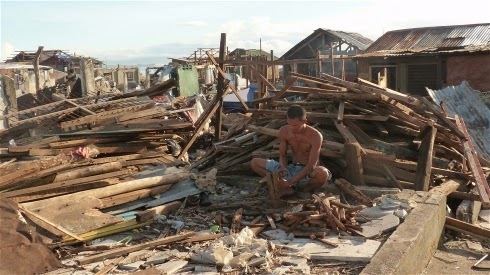 London, 21 January 2015 (IRIN) - When Typhoon Haiyan swept across the central Philippines in November 2013, the subsequent emergency response was a test case for the aid industry's aspiration to be accountable to affected populations. The phrase became a term of art, with its own initials, AAP, and in the early days of the response the UN appointed its first ever AAP Coordinator. In normal times at least the Philippines, as a middle-income country, has considerable human and infrastructural resources for informing people, consulting them and soliciting their views. Even if radio transmitters and phone masts were destroyed (and it was mostly only the teenagers who managed to hold onto their mobile phones in the scramble to survive the typhoon) the Philippines still had a lot going for it. So how well did agencies do? The London-based Humanitarian Practice Network attempts an assessment in a special Typhoon Haiyan edition of its publication, Humanitarian Exchange, which includes an article by that very first AAP coordinator, Barb Wigley. Wigley warns against too great a preoccupation with tools and systems, leading to what she calls a drift away from the primary purpose of a culture of accountability. One of the most useful things she describes doing was done very simply, without text messaging or smartphones or social media. Small teams went into evacuation centres and just talked to people, all sorts of people, including young boys and girls and elderly people, to see what they had to say about the response. They found adults distressed by the lack of information, and wanting to know far more than the simple messages which, she says, the humanitarian community was inclined to transmit to them. They found young people upset by any unfairness and disturbed by seeing so many dead bodies around, and elderly people embarrassed by the lack of appropriate underwear. Mike Noyes of Action Aid, who helped compile a report, 'Missed Again', on the shortcomings of partnerships with local NGOs during the Haiyan operation said this couldn't be blamed on the local situation. “In Haiti it was because the system works in English and everyone spoke French; in the Philippines the lingua franca for most educated people was English anyway,” he said. Noyes blames a culture where the international UN and NGO staff all know each other and local organizations don't understand the system, especially the UN cluster system, and feel excluded. Yet local NGOs are inherently accessible and accountable, rooted in their communities, and they can also be of great help to the internationals – if they are allowed. Alex Jacobs, from Plan International, worked on a project in the Philippines called Pamati Kita, or 'Let's Listen Together'. He stressed the need to cut through alphabet soup of acronyms and the proliferation of agencies, and make things much simpler for people to deal with. But it's still a good idea, and is now being tried in Iraq, a much more difficult environment. The plan is for a call centre for all UN organizations and clusters, with between four and six staff, and a coordinator who can direct comments and questions to the relevant agencies. UN OCHA's Sarah Mace described it as a mandated, response-wide accountability tool. But she conceded that local groups would not be directly involved, at least not in the initial phase. Radio was hugely important in the Haiyan emergency. The CDAC (Communicating with Disaster Affected Communities) Network's own learning review of the response notes a dramatic shift in people's main source of information from television before the typhoon, to radio afterwards. But several participants in the London meeting stressed the need for humanitarian actors to change their mindset and accept radio as a two-way medium, not just for delivering information, but also for discussion and dialogue. Internews, a US-based non-profit which works with local media across the world, got a radio station and information centre up and running just three weeks after the storm. Radio Bakdaw, set up by Internews, put officials live on air, and at its peak was receiving a thousand text messages from listeners a day. Its project director, Stijn Aelbers, worries about what happens when organizations want to be better at communication.